Situated on South Africa’s west coast, approximately 400km north of Cape Town, Tormin is a world-class placer beach mineral sands deposit, hosting some of the richest concentrated grades of naturally occurring zircon, ilmenite, rutile, magnetite and garnet. 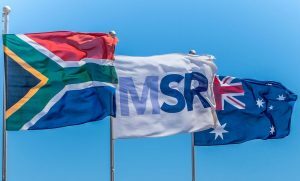 MRC via its South African subsidiary Mineral Sands Resources (Pty) Ltd (MSR) holds a 50% interest in Tormin. Tormin is a unique deposit due to the process and speed of which the mineral sands are replenished. 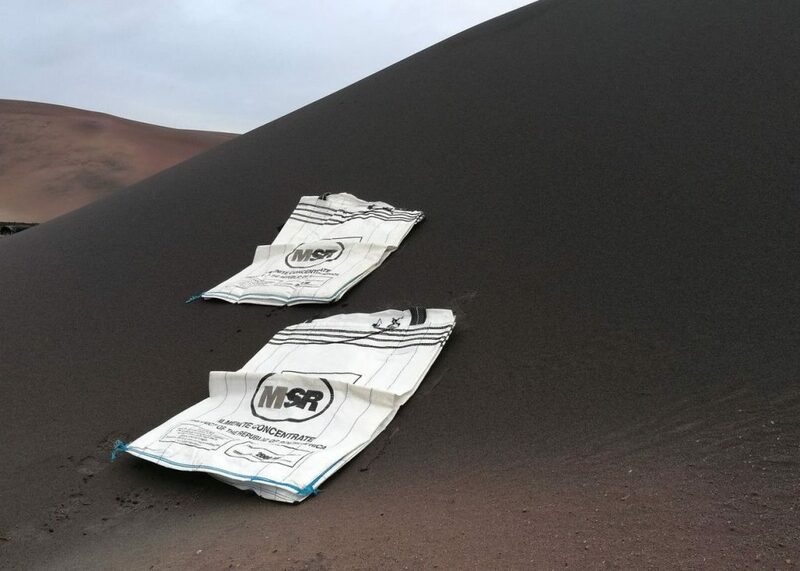 Through the naturally occurring tidal actions of the Atlantic Ocean, high-grade mineral sands are continually re-deposited on the shores of the Tormin Mining Right, a process MRC is able to leverage from, maximising mineral yield, whilst minimising environmental impact. Since commencement of operations, the Company has mined in excess of 7.7 million tonnes at 40.2% Total Heavy Minerals (THM). This is significantly more than the original declared resource tonnage of 2.70 million tonnes and is indicative of the significant replenishment nature of the deposit where resource blocks are mined more than once per year. The December 2017 Inferred Resource estimate confirmed that 1.8 million tonnes at 15.92% at a cut-off grade of 5% HM remains. MSR has submitted a Section 102 Extended Mining Rights Amendment Application to the Department of Mineral Resources which seeks to extend the existing Tormin Mining Right to include the beaches to the north of its existing beach mining right and an identified inland strandline located on the Company-owned freehold farm (on which the Tormin processing plant is located). The Company is also progressing the grant of several surrounding Prospecting Right applications covering prospective inland strand occurrences which extend approximately 20km to the north and approximately 10km to the south of the current Tormin operations. MRC is confident that the grant of the Extended Mining Rights and subsequent development of the additional identified mineral sands to the north and on the identified inland strandline will allow the current beach mining areas to satisfactorily replenish. For the full year to 31 December 2017, run of mine (ROM) production of 2,052,621 tonnes was achieved at Tormin at a grade of 26.97% Valuable Heavy Minerals (VHM), consisting of a garnet grade of 19.74%, ilmenite grade of 5.25%, zircon grade of 1.03% and rutile grade of 0.49%. Mining rates increased throughout the year consistent with the falling VHM grade. Zircon and rutile feed grades were lower than the prior year and resulted in reduced non-magnetic zircon/ rutile concentrate production for the 2017 year of 22,111 tonnes, however the contained zircon and rutile in concentrate was higher than expected. Gross ilmenite and garnet concentrate production for 2017 was 217,019 tonnes and 435,590 tonnes respectively. During the year, the Company also re-treated 224,196 tonnes of previously stockpiled garnet concentrate to extract excess zircon, to produce a medium grade ilmenite concentrate and to upgrade the garnet concentrate grade. The Company also re-treated 78,106 tonnes of previously stockpiled ilmenite concentrate to create a high grade ilmenite concentrate and to extract excess zircon. The Company experienced strong demand for its ilmenite concentrate in 2017 due to a combination of tightening of the global ilmenite supply chain as well as curtailing of domestic sulphate ilmenite production within China due to environmental and economic cost of production factors. This was further complemented by demand from India arising from Indian regulatory issues restricting in-country feedstock availability. In addition, increased demand for all downstream finished titanium products continued to improve throughout 2017. The Company also saw incremental quarter on quarter increases in sales pricing in 2017 for its high grade non-magnetic zircon/rutile concentrate. The Company has seen a year-on-year increase of approximately 45% for its non-magnetic concentrate pricing with the first quarter sales for 2018 contracted at the highest dry metric tonne rates since operations commenced. Tormin shipments/sales for 2017 were 23,152 wet metric tonnes of zircon/rutile non-magnetic concentrate, 275,000 wet metric tonnes of bulk ilmenite concentrate, 7,098 wet metric tonnes of bagged ilmenite sales and 240,000 dry metric tonnes of garnet concentrate stockpiled on GMA’s behalf under an offtake agreement. Additional revenue was generated by the shipment of 51,077 wet metric tonnes of garnet concentrate previously stockpiled at the Tormin mine site on GMA’s behalf. Sales revenue for 2017 was US$60.9 million, above the prior year’s US$26.9 million. The Revenue to Cost of Goods Sold Ratio for 2017 year was 1.46 as compared to the 2016 result of 1.64.